I have been racking my brain trying to think of topics for our first blog entry for our new James Newman, P.C. website. Although there are endless topics in the field of personal injury and medical malpractice that I could talk about, many of which I will visit over the course of my no doubt stellar blogging career, I wanted to make this first blog entry a little tribute to my father, James Newman, who is the heart and soul of this law firm and the reason why our clients put their trust in us to represent them during some of the most difficult times in their lives. This past Monday just so happened to be my father’s birthday, so it is perfectly fitting that this first blog is dedicated to him. Happy Birthday Pop. Look, when it comes to talking about my father of course I am partial. He is my best friend and mentor and I consider myself the luckiest guy in the world that I get to come into work every day and see him. However, before starting my career as an attorney a little over four years back I only knew him as my dad and really had very little insight into the type of attorney his is and the law practice that he has built from the ground up. And that is precisely what I wanted to share in this blog. If you ask any of our clients why they chose our firm to represent them following an accident or trauma, or why they refer so many of their friends and family to our law firm, the answer 99.999% of the time is always because of Mr. Newman (as they call him). Now that I get to work with him and see him in action every day I can truly see why. Not only is the man brilliant, but my father has an uncanny ability to connect with people from all walks of life on a very human level, a trait so many attorneys in our field of law so desperately lack. To him the people we represent are so much more than just our clients; they are part of the James Newman, P.C. family. It is this family atmosphere that my father has built over the years that makes us so unique as a law firm. Take our office for example, which is something we are extremely proud of and which we completely renovated during the summer of 2011. When you pull up to our driveway you will see that 2815 Waterbury Avenue is not a high-rise office building, but rather a house located on a residential street in the Throgs Neck area of the Bronx. From the time you arrive and walk through our front door you instantly have that feeling of warmth and inviting ordinarily absent from many law offices. You see it on the walls, in the decorations, in the gifts we display that our clients have brought us from their home countries. You see it in our conference room, which is lined with sports memorabilia and framed jerseys of our favorite NY teams. In many ways our office is not just a reflection of the people who work here, but also a reflection of our clients and their diverse backgrounds, something my father has always embraced. I take so much pride in our office and our practice as a whole because of how personal it is to my father, and now to me. This really is a family practice, something that started with my dad going out on his own some thirty years ago and taking a risk to start his own practice and build his own legacy in the legal community. When my dad first started out as a solo practitioner it was just him and his secretary Wendy, who is my dad’s second half and a huge reason why we have been so successful over the years. These two have been working together as a team since the beginning and share that same family mentality which has drawn such a diverse array of clients to our firm. I consider myself so lucky that I get to come into work every day and see my “work mom” as I call her who is such an integral part of our practice. She is always reminding us about important things that are coming up, constantly on the phone with clients and insurance people, and sharing in the joy that we all have when we win a case or an important motion. Our clients, and especially my father and I are so very lucky that we have her in our lives, so if you are reading this Wendy, we love you too. When I first started working at our office, before we did the renovations last summer, the room in our office that I worked out of was literally right next to my dad’s. This gave me such an invaluable opportunity to listen to him talk on the phone to clients, insurance people, defense attorneys, judges, you name it, which was so vital to my professional growth as an attorney. When I would listen to him I could hear the passion he had in his voice when he was speaking on a client’s behalf, and the candor he had when explaining to our clients the difficult legal aspects of their cases in such a straight forward and simple way. Maybe it’s because my father knows how to treat people no matter what walk of life they come from or the background they may have. If you look at our clients as a whole it is no wonder that a huge majority come from such places as Jamaica, Trinidad and other parts of the Caribbean and West Indies, as well as West Africa and Ghana. It is because these tight knit groups of people who live in the Bronx and New York City have come to know of my dad through word of mouth and reputation over the years from people in their inner circles who know my dad as a lawyer. In fact, it may be surprising but until September of this year when we launched this website my father had never in his entire career engaged in any form of advertising and relied solely upon word of mouth from past clients to bring in business. As amazing as this is, I know now why it has worked like this for so many years, and it begins and ends with my father. When it comes to personal injury and medical malpractice the very nature of our job is to help people through some of the toughest times imaginable, whether it is a person who has been badly injured or a family dealing with a death. These are the times when our clients are most vulnerable, often unable to work, to care for themselves or their kids, to put food on the table or to pay their medical bills. It is through these tough times that our clients have leaned on my father and our firm as their rock that gives them hope that there is a light at the end of the tunnel and that we will get through this together. My father has always said that it is fitting that attorneys like us are often referred to as counselors at law, because that’s exactly what a personal injury lawyer is; he is an advisor for not just the legal aspects of a case, but also the personal realities that accompany them. That is precisely why my father and I have such a personal stake in all of our cases and why we are driven so hard to accomplish the most for our clients. Look, when it comes to the people we represent they are for the most part ordinary working class people, the salt of the earth if you will. They are the people who work on construction sites, as nurses, as home health aides, driving taxies, working in factories and owning small businesses here in the Bronx and New York City. Perhaps it’s that competitive nature that is embedded in the Newman DNA that my grandfather passed down to my father and then myself and my two younger brothers. We like a fight, we like an underdog, and we especially love that we get to represent some of the hardest working people in New York go up against some of the biggest insurance companies and defense firms, who unlike us view our clients as just another number or statistic on a spread sheet and have little empathy for the struggles our clients face, which we see every single day at our office. Now, if you are reading this blog you may be looking for an attorney to represent you for a personal injury or medical malpractice case and believe me I can understand the difficulty that poses. 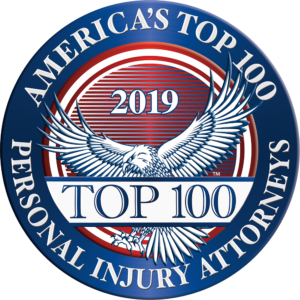 There are literally thousands of personal injury law firms in the State of New York that represent injured individuals for an array of claims. You hear about firms every day on the internet, on billboards, in television commercials, in catchy jingles on the radio; however what does that advertising really tell you about the law firm itself and the attorneys that work there? Not much. What I can tell you is that trust in your attorney, especially when it comes to matters involving personal injury and medical malpractice lawsuits, is the single most important thing you can consider. As a client you need to trust that your attorney is putting your best interests first and working towards achieving maximum compensation for your case no matter how big or small it may be. For the past thirty years my father has built our practice upon the trust our clients have in his ability to fight on their behalf. My father is the type of person that does not care whether the road traveled is long and hard, as long as we are working for something that he believes is right and just and good in this world.